Over the years, China has become a hot topic of discussion in India. While it has been perceived in varied light on it has been perceived in varied light on numerous occasions, China has been largely misconstrued by the Indian masses. The clouds of suspicion harboured due to the brief 1962 conflict still do linger. Even though there has been no confrontation for the last 60 years, 1962 still blurs India’s vision of china, making Indians wary and distrustful of the Chinese. 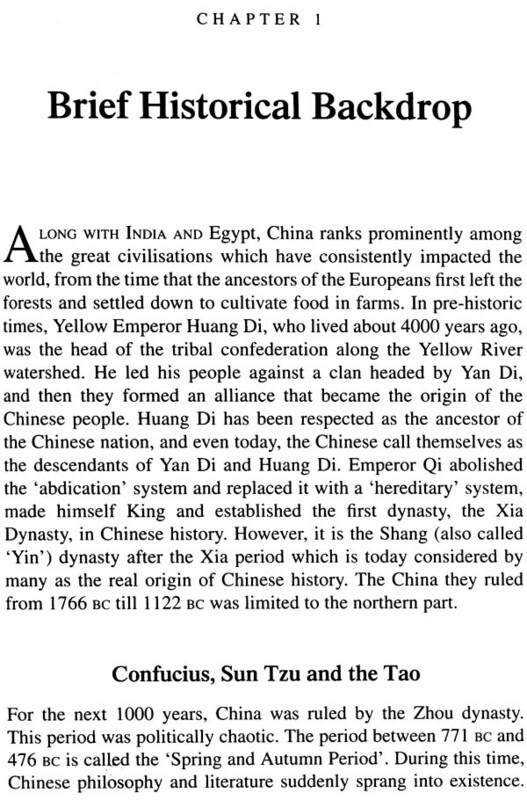 Cinasthana Today presents China, dating back from the regime of Chandragupta, when it was known as’ Cina-sthana’, to its current status as an economic power. It covers Cina without bias and without fear, by focusssing on the people of China and their life today, tracing back to its ancient historic moments and progressing towards its current scenario, with constant referencing of contemporary India. 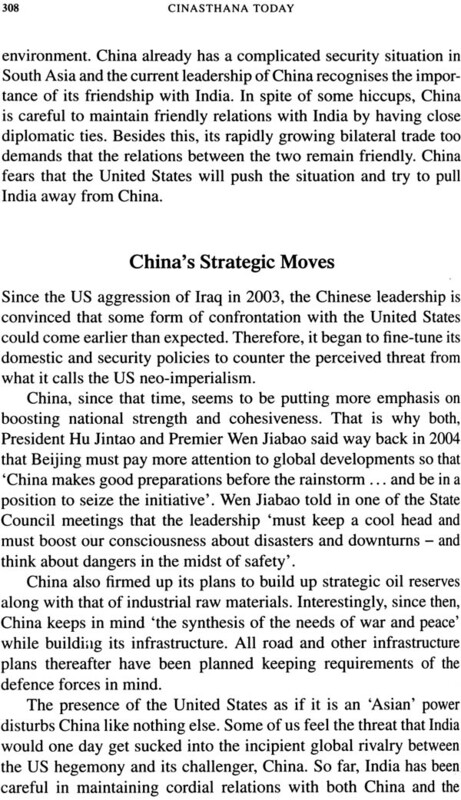 Cinasthana Today is backed by the author’s keen observation with China since 1983. In 1988, as the Technological Advisor to the late Prime Minister Rajiv Gandhi, he briefed him about China’s fast export-led growth via the Special Economic Zones in Shenzhen, Zhuhai and Shantou. 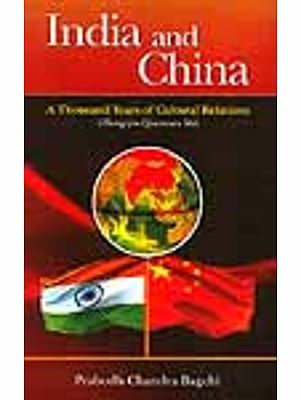 For more than a decade now, the author has been the president of the India-China Economic & Cultural Council (ICECC), New Delhi. 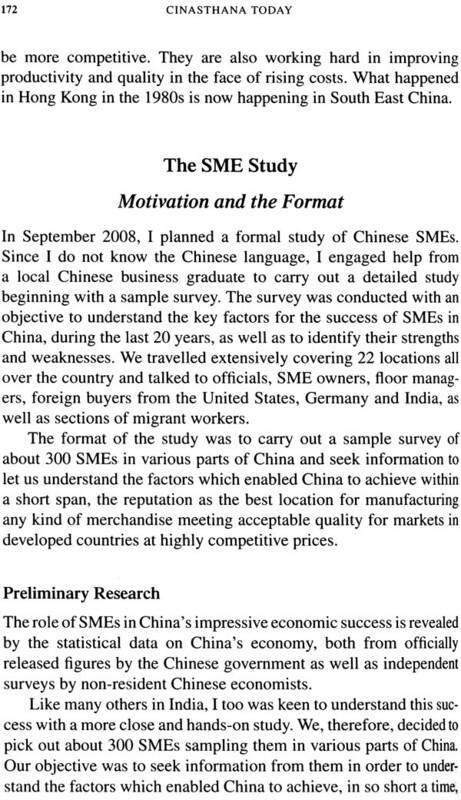 This book aims at benefitting both India and china by positively influencing public opinion. The author projects the cultural, economic and social similarities of these two ancient civilizations which share very similar community bonds. Foreign dominance for a thousand years, the language barrier and Himalayas have kept the two nations apart, but ‘Cinasthana Today’ will hopefully overcome these hurdles for a new, mutually progressive tomorrow. Mr. P.S. Deodhar is a highly respected technocrat in India. In 1982 he joined the late prime minister Rajiv Gandhi as his Electronic Technology Advisor and in 1986 took over as the Chairman of the Electronics Commission, Government of India. Earlier, in 1983, he convincd Mrs. Indira Gandhi of the merits of changing over a liberal electronic policy and give up licensing. That lead to an impressively rapid growth of electronics and IT sectors. The then prime minister Narasimha Rao appointed him as the Chairman of the Broadcast Council in 1992-93 that set in motion the privatization of the Electronic Media. He has been a keen observer and a regular visitor to China since 1983. Since 2004, he is the President of India-China Economic & Cultural Council, New Delhi. He’s a Life Fellow of the IEEE, USA, and was named “Engineering Manager for 1990” by the Engineering Management Society of IEEE, USA. Mr. Deodhar is the distinguished Fellow of IETE, Fellow of Institution of Engineers, Fellow of Indian National Academy of Engineering and the Fellow of Broadcast Engineering Society. He was the Chairman of the 4th Jagatik Marathi Parishad held in Jerusalem, Israel in 1997. As an Engineer Scientist, Mr. Deodhar has many product s to his credit which are being exported to USA and Europe by APLAM Limited, founded by him in 1962. His achievements in the fields of Electronics Engineering have turned him into a role model for many young engineers. Cinasthana Today is the Culmination of 29 years of study on China. I felt that the image of China, as projected in the Indian and foreign media, does not accurately reflect reality. The official Chinese information also does not necessarily give the actual picture. The clouds of suspicion harboured due to the 1962 conflict have blurred our vision. The Indians and Chinese alike are wary of each other. Here is a country that, I thought, should be our friend and not a foe. 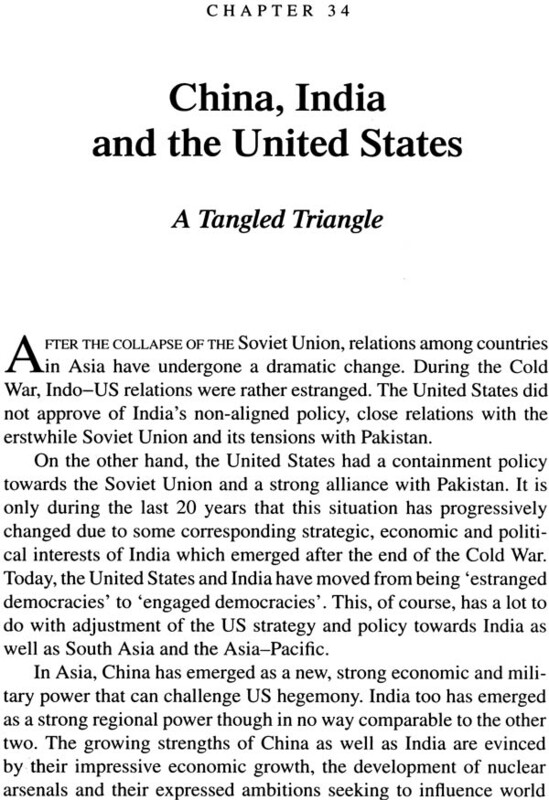 Indeed, trust and friendship between the two nations is pre- ordained if we wish to ever make the world economy 'India-China Centric' once again, like it was till the middle of the 19th century. I have been a keen observer of China since 1983, when I visited it for the first time. I took an instant liking to it, as it reminded me of the rural south back home - poor, but clean and tidy. It made me curious, pushing me to learn more about it. 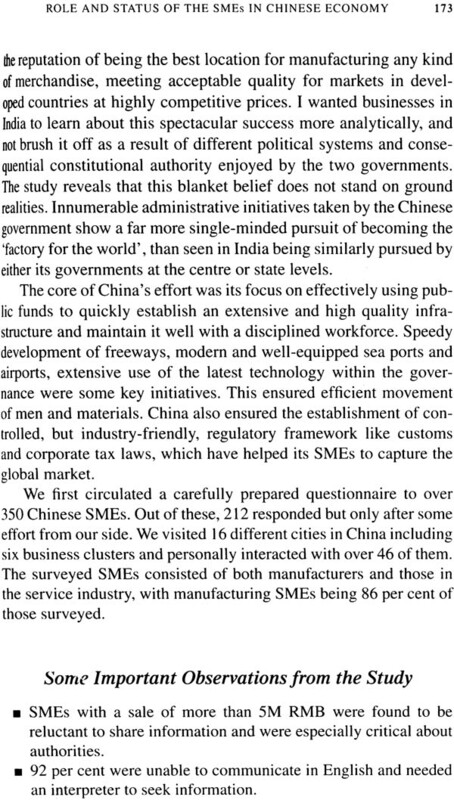 Then in early 1988, my study of China got a further boost when I presented to Prime Minister Rajiv Gandhi my views about China's fast export-led growth taking place since 1980, after it established special economic zones in Shenzhen, Zhuhai and Shantou in Guangdong. I also highlighted the help they were getting from the Chinese in Hong Kong as well as Taiwan! He was to meet Deng Xiaoping, the statesman and the architect of China's revolutionary economic reforms, who achieved the impossible. I briefed him on Xiamen in the Fujian province and its economic closeness to Taiwan. It was clear that the Chinese leadership was focussing on export-led economic growth such as in South Korea and Taiwan. Rajiv too wanted speedy economic progress that would help us to develop rural India. He was surprised that those who briefed him did not tell him about one fact that enabled China to follow the right policies, both for industrial development as well as acquisition of technology. Unlike his own ministerial colleagues and India's trader-turned industrialists, almost all the communist leaders of China were hands-on engineers. China's technologically sound economic and industrial policies could possibly be only due to its leaders being engineers who were trained to build from a plan. Eight out of the top nine party leaders of the Politburo Standing Committee of the Communist Party of China in 1988 came from an engineering background. This professional background may help explain why they did not buy risky (and mostly US) financial innovations. These engineers presiding over China's fate have all been highly process- oriented and worked strictly within the set performance metrics. It is another story, however, that I later failed to convince Rajiv Gandhi to have 'qualified' ministers to overview respective portfolios! Today, both China and India have understood the profound importance of economic growth and poverty reduction by allowing public - private partnerships to participate in the process, thereby creating jobs, besides some real wealth. This, of course, needed proper governance that would promote economic productivity. Governance is indeed not just about enactment of policies to help development, but also encompasses its efficient implementation. Public resources need to be effectively used for making public ser- vices efficient. Therefore, success depends largely on effectiveness of governance. This is where I find that India greatly differs from China. Poor quality of public service in India is indeed a matter of shame for its public servants. Credit for China's progress also goes to its people besides its government, while in India it primarily goes to its people. China's spectacular infrastructure shows their zeal and commitment to everything they undertake. A political regime cannot enforce this kind of quality. This quality is ingrained in the Chinese persona. On the other hand, one sees an attitude of smug satisfaction amongst the Indians over their development status. There are exceptions such as the Delhi Metro and the Konkan Railway, which prove that given proper incentive and direction, Indians are also capable of achieving the best. But otherwise, one generally notices complacency, lack of enthusiasm towards innovation or reluctance in putting in extra effort to achieve excellence and perfection for its own sake. The 2008 Olympic Games and 2010 Commonwealth Games are pointers to this sharp contrast between the attitudes of the Indians and the Chinese. There is also the bane of regional, linguistic and cast biases in India that are detrimental to building a national identity, vis-a-vis the Chinese. Indians are generally complacent and often indulge in their favourite national pastime of debate and criticism of each other, without being collectively proactive. 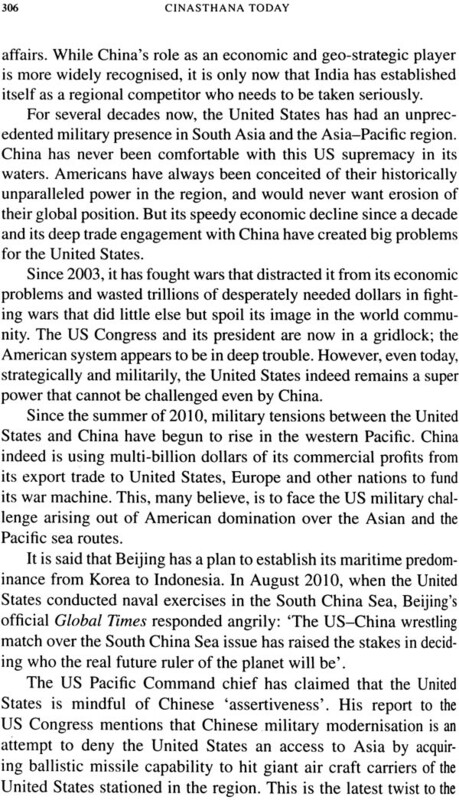 But India too has its profound strengths, which China could learn from, and has done so before. Take, for instance, India's vibrant, but very chaotic democracy. However, it does work amazingly well in spite of being a multi-lingual, multi-cultural country where Hinduism, Buddhism, Jainism and Sikhism were born, and which has the world's second largest Muslim population. Though recognised globally as 'Hindustan' or 'Land of the Hindus', it has been led by three Muslim Presidents in the past, and currently, has a Sikh Prime Minister and a woman President at the helm of affairs. Chinese leaders therefore need not be wary of democracy, though its Western model may need a few adaptations for both India and China. In spite of having poorer governance than China, Indians display remarkable optimism. Freedom of speech has a powerful place in India, which China unfortunately lacks in. India's social vibrancy due to this freedom is seen in its theatre, movies, art, economic growth and electorate. There is general stability in both the countries today, despite all the incredible challenges and hardships faced by them. The challenges are entirely different, but are alarming in their own way. 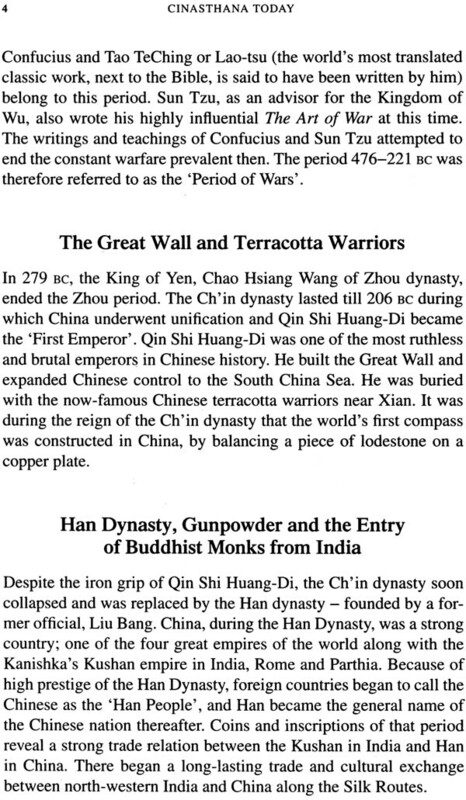 If only Indians would adopt a few features of the Chinese and vice versa, then 'India plus China' could indeed become a formidable combination, as it was centuries ago. Through Cinasthana Today, I wish to highlight the spheres where China did better than us, and how we need to take lessons from its fast-paced development. India derives its strength from its democracy and the freedom of its social institutions to be watchful of the government's activities. This is a strength that China completely lacks in, its government being the sole repository for the social well-being of the Chinese people. In sharp contrast, NGOs are India's strength, and poor administration its biggest weakness. Corruption is most frequently the outcome of poor implementation of laws by an administration that is largely unmonitored. India suffers more on this account than China. Both countries are large and have the ability to leverage policy reforms into sustained, expeditious growth. A large domestic market and an abundance of low cost labour are their biggest strengths. China's Communist Party has good control over its party leaders to reduce the scope for opportunistic behaviour by them. That cannot be said of the ruling party in India. While a single party rule for over six decades has benefitted China, in India, since 1991, governance has sharply weakened, since no single party could form the government. Our political coalitions forming the government have disabled governance, and in the process, the administration too has become further lax. For instance, one has to only look at the pace of development in Gujarat, where a single party in power has full control over administration, and the vision for growth is largely similar to that of the Chinese. 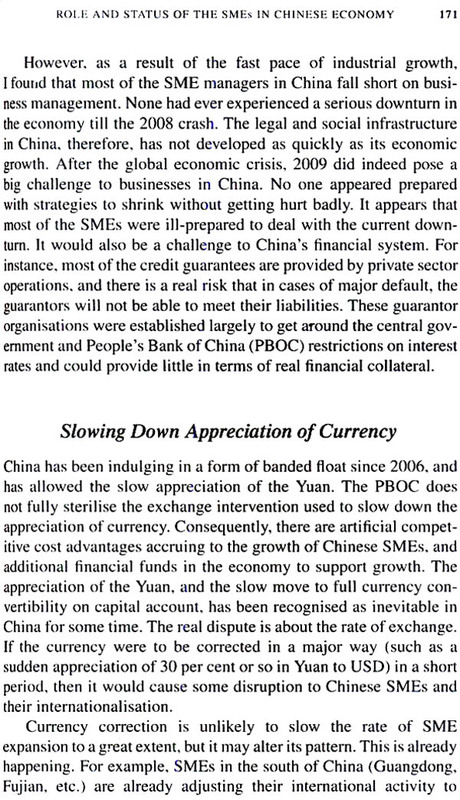 I have focussed on some of these missing links that featured prominently in the governance of China. No nation is without its share of shortcomings and failures, and China has many. But the slow progress of our country demands that we learn from the solutions that worked and brought about the desired results in China. Many of these are indeed implementable even in democratic India. Many Indian leaders make democracy an excuse for its slow progress but often it is to cover up the lack of their political will. My study on China has partly been to highlight such areas like China's sharp policy focus on agriculture and manufacturing. With each successive visit, I realised that the common people of both countries are alike in many ways, in spite of our long isolation and the fact that we speak and write so differently. Our beliefs are so similar, our life philosophies so alike and our cultures so entwined - all of which are not being told to our people. India as well as China have a lot to learn from each other. Even though we have rather warm and friendly bilateral diplomatic relations, they have largely remained only that and nothing more, since both the governments have not made any significant effort to improve our civil society interaction - people-to-people contact. My book is an attempt to help Indians to get to know China better and allay their fears and suspicions. Though one has to certainly be cautious - it is a part of any international relationship - I found that the Chinese can learn a lot from us as they did during ancient times. This, I believe, needs Indians to know China more authentically, without bias and with an open mind. Whether we will end up fighting a war, I do not know, but if we do, it would be a great pity for both of us. The China that I first saw in 1983 and the China of 2012 are, indeed, not the same. Then it was still recouping from the Cultural Revolution, but nowadays, visitors come back overawed and impressed. Most are of the opinion that in terms of infrastructure, we cannot even remotely match up to what China has. Not only do visitors get impressed by the high quality of public works, its cleanliness and careful maintenance, but more importantly, they come back with memories of neatly dressed, disciplined and industrious people. They feel amazed by its makeover from the Mao days of communist command economy to a liberal economy, and more so for having maintained quality and elegance. As someone has rightly commented, Mikhail Gorbachev tried glasnost (openness) and perestroika (restructuring), but failed, and the Soviet Union collapsed. 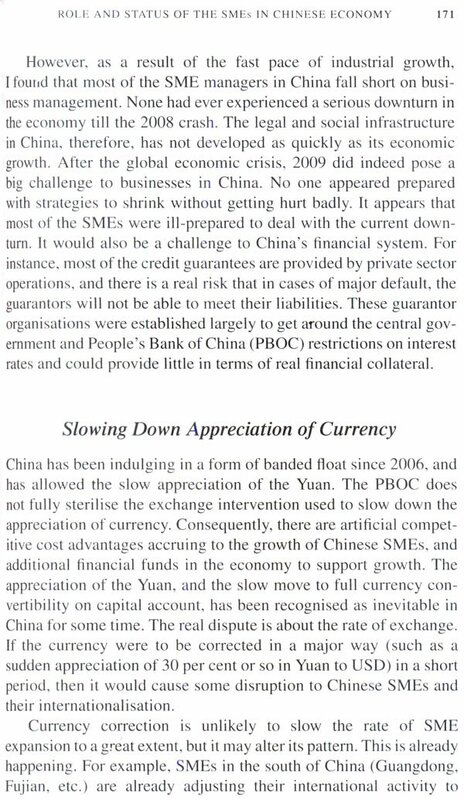 The credit for not failing in the same way should indeed go to the Chinese leadership. Many laud the wisdom of the Chinese leadership in keeping Hong Kong semi-independent with its own political system, thereby preventing uncontrolled migration of the poor Chinese. 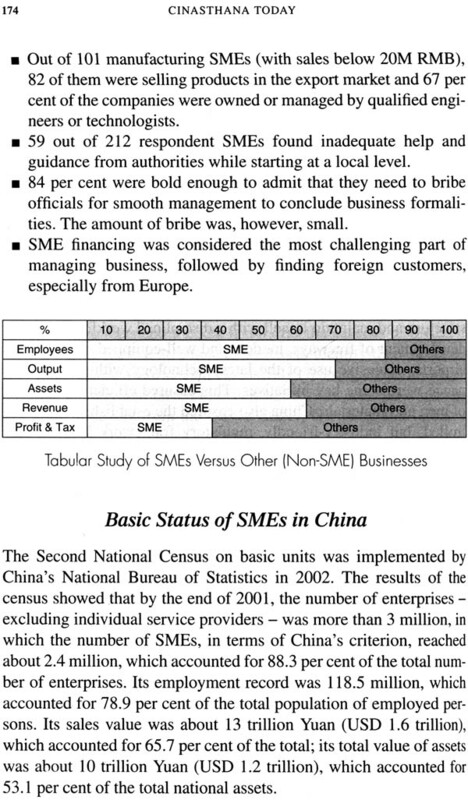 Independent Hong Kong became a great window for bringing in foreign capital. Forty to fifty per cent of China's FDI came in through this window. Simply put, 'One country, two systems', said Deng Xiaoping, the master change agent. Many find the Chinese eager to learn new things. A German expert in embedded systems came to India after visiting China. After concluding his meetings in Delhi and Bangalore, he made a courtesy call on me. When asked to compare China and India, he said, 'The Chinese wanted to hear me out and learn, the Indians I met wanted to tell me more than listen'. The founding Father of the Singapore Miracle of the 1960s former Prime Minister Lee Kuan Yew - is a perceptive observer. He said, 'The Chinese culture is structured on Confucian ideals and, despite the communist rule, it underpins the society'. He also said, 'British style democracy is not suitable for underdeveloped multi- cultural Asian societies'. According to him, people do not vote for policies; they vote for community allegiances, and so leaders will always find ways to stay in power without delivering, by playing on community allegiances, which in turn can be converted into com- munity antagonisms. Many Indians would agree with him. 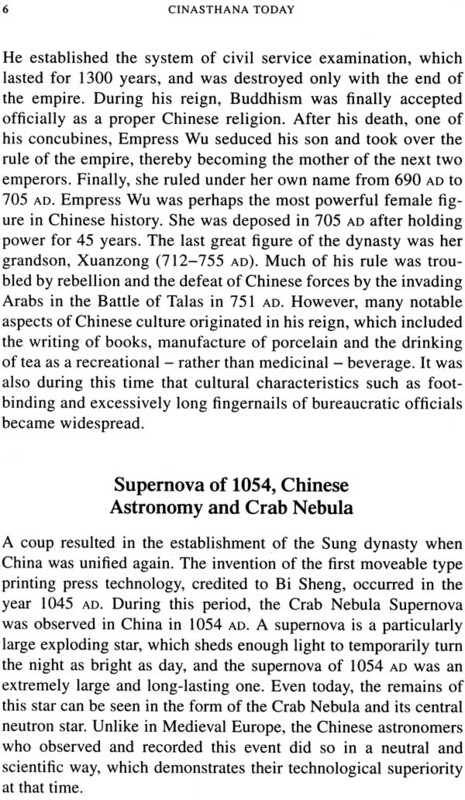 There are innumerable books published on modem and ancient China, but most of them are authored by foreigners who indeed are from a distinctly alien culture. For understanding China accurately, one has to be at least an Asian if not an Indian. As an Indian, I view China differently from most of these authors. Even a few tomes that are written by fellow Indians are primarily about business or our 60 year old border conflict which we lost. In Cinasthana Today, I wish to present China through distinctly Indian eyes. 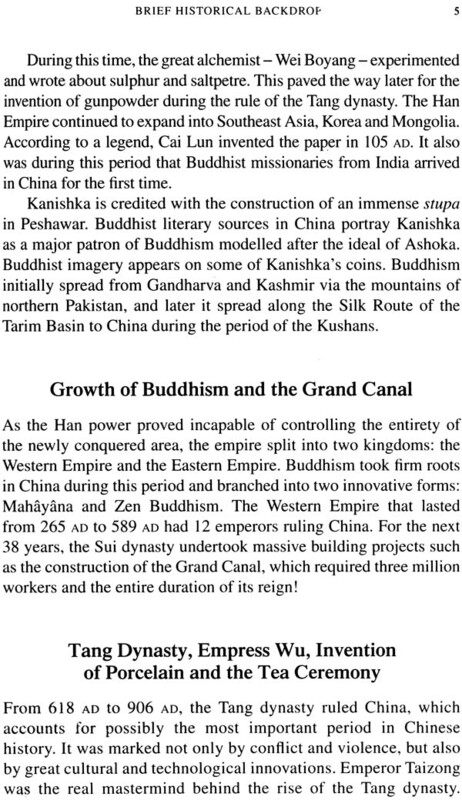 Hence the name Cinasthana, meaning China or 'Land of the Qin' as referred to by ancient Indians in Sanskrit. Cinasthana Today is a collection of my articles on China writ- ten during the last many years. For this book, I rewrote all of them and updated them with the latest information. I have grouped them loosely into five segments, each focussing on a specific aspect of China. There is yet another strong backdrop to my study on China. I have a strong belief that post 1970, the United States started its overall decline by allowing big businesses to bring about a cultural change, thereby creating a lifestyle that promotes thoughtless consumption of resources without any sensitivity to its global consequences, with the sole intention of making huge profits. The United States not only hurt itself, but also inflicted hurt on Europe. Unfortunately, both China and India are pursuing the same development model. Experts, who foresee the repercussions, are now warning that this is completely unsustainable, ecologically as well as culturally, for India and China. This model can neither be 'inclusive' as the Indian government wants it to be, nor can it be 'harmonious' as the Chinese dream. It is impossible to study China unless one experiences it, studies its history, understands its people and contemplates after reading others' appreciation or criticism. This is the Information Age (I hesitate to call it the Knowledge Age), and one can get millions of bytes by 'googling' blogs and tweets from all over. I have enriched myself constantly from all these sources. Besides these, the most enlightening of all are discussions with friends, acquaintances and colleagues.